Modern mechatronic systems consist of numerous precision components that must be assembled in complex configurations. 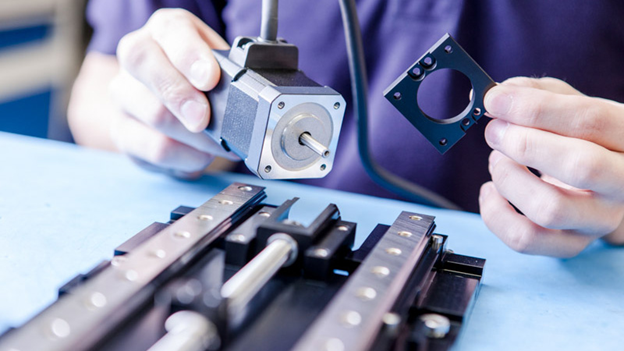 Steinmeyer Mechatronik, a division of Steinmeyer, offers design and assembly services of custom linear mechanisms in a variety of applications. We have a deep background in medical devices, laboratory instrumentation, optical inspection & semiconductor positioning. Our engineers can implement your finished design or optimize your concept. Steinmeyer has decades of experience in precision assembly. All of our systems, whether simple linear rails or multi-axis positioning systems, are manufactured carefully. Our high standards, monitored continuously through vigorous quality systems, are evident in every assembly we produce. We pay attention to every detail. We can assemble custom linear mechanisms of all sizes – from miniature actuators using as little as 3 mm width linear rails, to as large as 3 m long lifting mechanisms. As an added value, our engineers will offer you optimized, innovative ideas for your design. We can quote you a completely assembled module, including sourcing of key components! Why not speak to an engineer today? Contact Bruce Gretz today at 781-273-6220 or bruce.gretz@steinmeyer.com. New England’s largest trade show dedicated to medical products is coming soon! The BIOMEDevice show will be taking place Wednesday, April 18 and Thursday, April 19 at the Boston Convention and Exhibition Center. Steinmeyer invites you to visit booth 881 where you will see the latest innovations in ball screw technology. 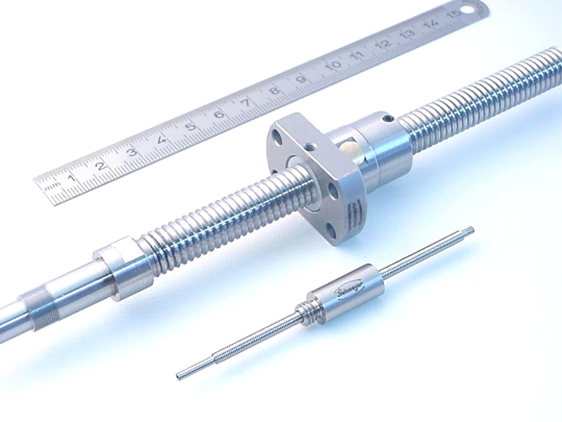 You will be able to view our premium miniature ball screw and linear module products and learn how these German made, high quality components can achieve your precision positioning needs. Our booth will be manned by engineers ready to discuss your latest application and field technical questions. We look forward to meeting you at the show and helping you find the best solutions to your medical device and laboratory equipment needs. 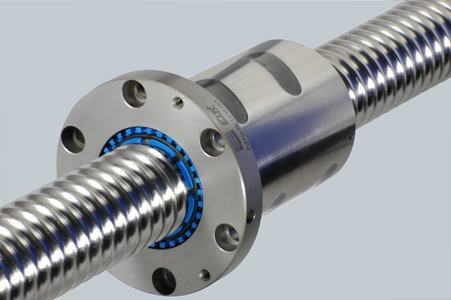 To learn more about Steinmeyer ball screws for use in medical applications, visit our site. BIOMEDevice Boston is a powerful end-to-end industry showcase covering today’s emerging biomedical trends and innovations. Join medtech professionals to explore the full spectrum of cutting-edge solutions you need to make faster, cheaper, and smarter medical products at the most comprehensive industry event in the region. No other event in New England provides you with top suppliers, networking activities, and a comprehensive conference program. Be sure to use our promo code SPECIAL to claim a free expo badge, and get 20% off your conference pass! Register here. Precision Linear Modules – Make or Buy? Your invited to attend a technical webinar that will help you make the right choice! This webinar will explore the question of “make or buy” concerning precision linear modules. We will explore in detail the advantages and disadvantages of each approach. We will also step through the design process for each and discuss specific application examples. You should be able to use this knowledge to ensure you make the right decisions on future design projects. Describe the advantages of designing and assembling linear modules in-house. Describe the advantages of purchasing custom linear modules. Understand the precision ball screw and linear module offerings of Steinmeyer. Miniature Ball Screws – Now In Stock! Steinmeyer announces a new program to stock a selection of our German made, miniature ball screws – and they’re available now for immediate shipment! This program is ideal for engineers needing miniature ball screws for early-stage development of precision machines, instruments and devices. Stock consists of diameter selections of 3mm, 6mm, 8mm, and 12mm, with a variety of pitches and lengths. Nut designs include threaded or cylindrical. Combined with our acceptance of credit card payment, obtaining a Steinmeyer miniature ball screw is faster and easier than ever! We want to make it as easy as possible for engineers to get their hands on a Steinmeyer miniature ball screw. Once you feel the quality and workmanship, we are confident that you will be customers for a long time! The steel deflectors found on ball screw nuts are a critical element of the finished product. At Steinmeyer, we precision-machine all of our steel deflectors, then perform final hand-finishing during assembly to ensure a perfect fit. Not only does this deliver exceptional integrity of the deflector shape, but also a seamless transition from the deflector to the nut thread. The result is the smoothest running ball screw you can buy. And this means lower noise and vibration as well as higher efficiency and lifetime. The special process used to manufacture the machined deflectors is unique to Steinmeyer. It’s just one of the ways Steinmeyer drives to be second to none in ball screw quality and performance. The Steinmeyer name is known globally for commitment to quality and workmanship. We have nearly 500 staff members at our headquarters focused on the design and production of the world’s finest ball screws. In this series of posts, we explore how Steinmeyer’s quality commitment shapes the production process at every step. Let’s begin by highlighting a key technique — hard turning of ball nuts. This is just one of the unique processes that positions Steinmeyer ball screws above the rest. In part 2 of this series, we’ll explore the advantages of Steinmeyer machined deflectors. There has been a tremendous amount of innovation lately in the design of medical devices and lab instruments. One of the critical aspects of the new products being developed is linear motion. 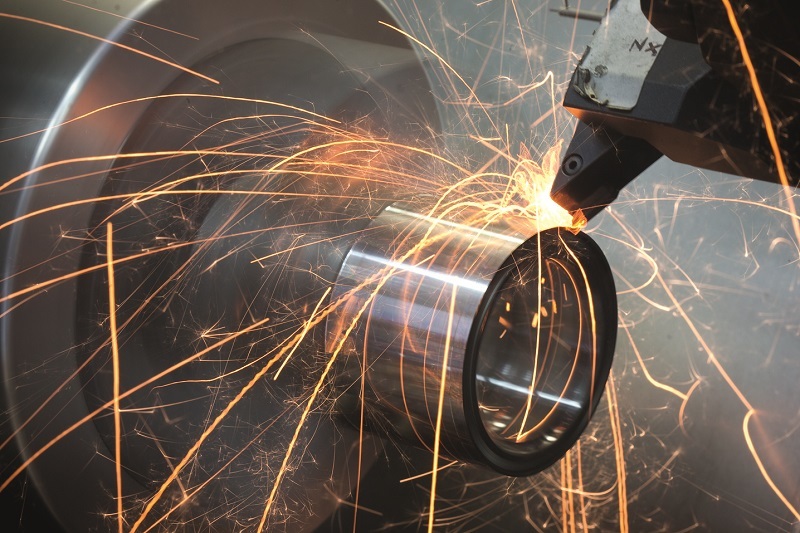 And Steinmeyer is proud to be directly involved in providing drive solutions to our cutting-edge customers. We currently have several on-going applications involving wearable pumps driven by ball screws, and I wanted to share some of the specifics. One solution is to break down the system into two components—one implantable and one wearable. The implantable component handles minimal functionality and consists simply of a balloon. The wearable component enjoys much looser design requirements. In the projects we are working with, a wearable pump is used to drive compressed air through a catheter that passes into the body.